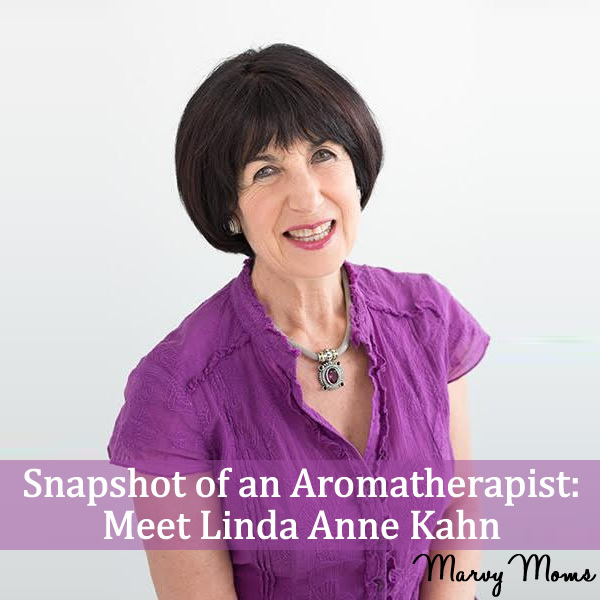 Linda Anne Kahn is the owner at Beauty Kliniek Aromatherapy Day Spa & Wellness Center located in San Diego, California. Linda Ann was my table-mate at the first half of the Aromatic Medicine class I took with Mark Webb in Atlanta. She has a vast amount of knowledge about aromatherapy and is an expert in lymphedema treatment using massage and essential oils. She is scheduled to speak on the topic of Lyme disease at the upcoming AIA (Association of International Aromatherapists) conference in August 2017. She also gives workshops on color healing and the chakras. Linda Anne is a wife of 47 years, a proud grandmother of two girls, a mom and a daughter. She loves her life with a passion and keeps active and fit with pilates, yoga, and walking her two dogs. She loves cooking healthy food and entertaining and is constantly studying and researching nutrition so that she can find ways to improve her client’s lives. I graduated as a Beauty Therapist in South Africa (1978) – (massage and esthetics). Dr Arnould Taylor came to South Africa that year from London and gave a workshop on Aromatherapy as a post graduate class at our school. When I smelled Ylang-Ylang, I was transported to Egypt and fell in love with the oils. I was inspired when I read Robert Tisserand’s first book, The Art of Aromatherapy, to study many modalities and to become an Aromatherapist. My first formal training was with Eve Taylor in London in 1983. I founded Beauty Kliniek Aromatherapy Day Spa in San Diego in 1982 and have been serving the community for 35 years. We specialize in aromatic spa therapies, skin care, nail care and more. I have been teaching a 200 hour aromatherapy certification program for over 15 years and love teaching and sharing my expertise. I have formulated a line of skin care and essential oils synergies called Varenya Essentials. Over the years, I have lectured at many aromatherapy conferences, Spa conferences and Lymphedema conferences about aromatherapy. Since 1978 when I took my first Aromatherapy class and then 1981 when I read Robert Tisserand’s first book on Aromatherapy. That book inspired me to study many modalities that I could combine with clinical aromatherapy treatments, as Madame Maury practiced. I love that there is an oil or oil blend for every situation. The oils spread so much joy, peace and healing. I love to share and help to change someone’s mood, or heal a scar, or to create a feeling of peace and uplift someone’s spirits. I am nationally and Board Certified as a massage therapist and Nationally certified with the Lymphology Association of North America.(LANA). I integrate all my skills into my work as a Clinical Aromatherapist, educator, lymphedema therapist and life coach. I take regular aromatherapy baths, I blend my own skin care oils for daily use and use essential oil blends when we are fighting off a cold. I love teaching my granddaughter about the healing effects of oils. I have used oil blends on my dogs and helped family members with grief blends when we have had a death in the family. We diffuse my oil blends in the reception area of my Spa, use my oil blends in our Spa experience treatments and I custom blend for clients, patients, and staff members. We have an aromatherapy blending bar and offer aromatherapy massages and facials. My skin care line, Varenya Essentials, has a signature blend of oils and Varneya Essentials synergy blends are very effective and healing. Several years ago, I was treating a patient who had breast cancer and Lymphedema of the arm. She was very distressed and anxious and needed a lot of support and care. I made her essential oil blends each time she came in, according to how she was feeling and how her arm and skin were doing. When she was hospitalized, she told me that she had all my bottles of oils lined up in her room and the nurses loved coming in to experience the oils. She would choose an oil blend depending how she felt on that particular day. She loved the transformation blend. She passed away with the precious oils surrounding her and giving her strength. I still miss her and think about her. I have many stories of patients who are so ill and have had amazing experiences with their essential oil bends. I am passionate about teaching others to use these oils on their journey through life. As more and more research emerges I am hopeful that the oils will find themselves more and more into hospitals and centers and that psychologists will integrate essential oil blends into their work. I am excited to be in the forefront of the aromatherapy industry and I will continue to be an instructor so I can teach safe use of essential oils. Study with an individual who is passionate about aromatherapy and who has a comprehensive and organized program which includes chemistry, blending, and systems of the body. I love Fragonia (Agonis fragrans) oil as it transports me to new dimensions and helps with dream sates so is deeply relaxing. Grapefruit (Citrus paradisi) because it is so excellent to help a person who is in a depression and is also so good for lymph flow. Neroli (Citrus aurantium var. bigaradia) because i used it in a grief blend when my father passed away and it reminds me of him. The fresh floral, citrus smell of neroli is a beautiful perfume. Complete Guide to Aromatherapy by Salvatore Battaglia is a comprehensive book and a wonderful reference for my students. Hydrosols: The Next Aromatherapy by Suzanne Catty is an excellent book to explore the many uses of hydrosols. Aromatherapeutic Blending: Essential Oils in Synergy by Jennifer Peace Rhind is a great evidence based book with interesting ideas on blending. Essential Oil Safety: A Guide for Health Care Professionals 2d by Robert Tisserand is a “must” on every aromatherapy book shelf and it is a go-to reference for safety, chemistry, and scientific information. Use this as a master blend that can be added to a diffuser or pocket inhaler. I am a co-author of a book: “Lymphedema and Lipedema Nutrition Guide: foods, vitamins, minerals, and supplements.” this is the first and only book addressing nutritional needs of people with Lymphedema and Lipedema. I am developing a line of essential oils for Lymphedema, Lipedema and Dercums patients. I give personalized and caring service to all my clients I am highly skilled in my profession with over 30 years of experience and instill confidence in all my clients and patients. I work with an integrative approach and combine lymph massage with nutrition, customized essential oil blends and lifestyle counseling. I give total support to each and every person and individualize each program to meet the client’s specific needs. Thank you for sharing your aroma story with us, Lina Anne! < Snapshot of an Aromatherapist: Meet Yolanda Cathcart	> Have Yourself a HEALTHY Happy Holiday Season Starting NOW!